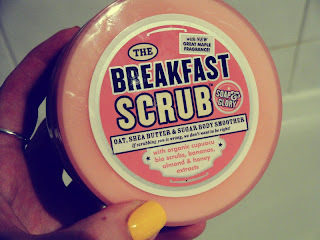 Here is another great scrub I came across! 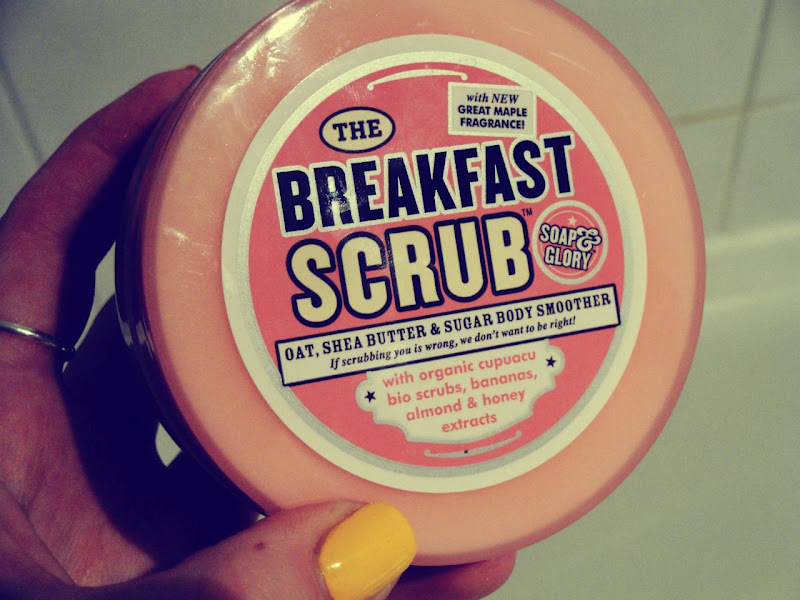 Having already quiet a few Soap & Glory products lined up in my bathroom - I wasn't surprised I liked this one too! It basically does smell like breakfast with new maple fragrance, but to me it smells of coffee, caramel, and brown sugar, which is lovely! Texture-wise it does the job very well without scratching your skin... It's got oat, shea butter, sugar, organic cupuacu bio scrubs, bananas, almond and honey extracts, so it does leave your skin pretty moisturised! 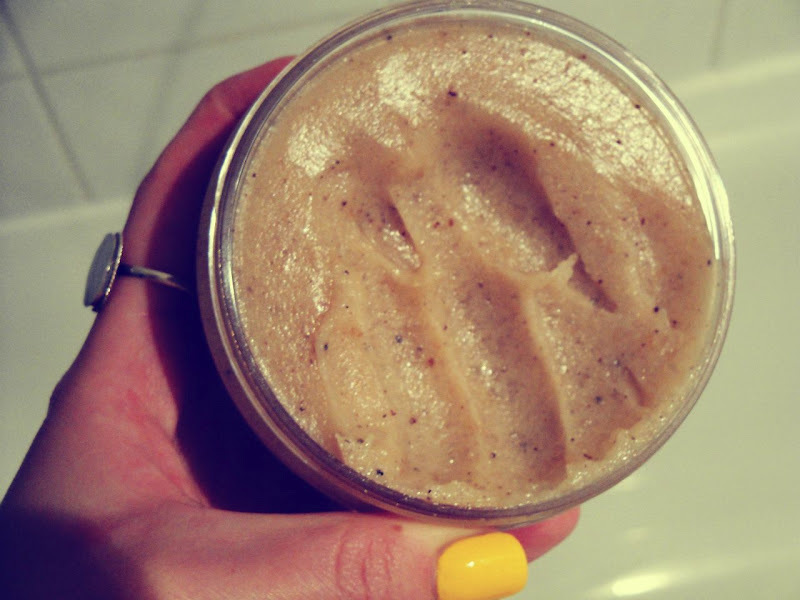 It's a delicious jar of scrub! But do not eat!